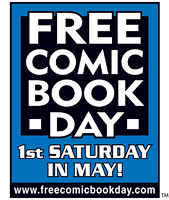 April is just zipping by, and with every week we get closer and closer to two major events on the horizon — Free Comic Book Day 2019 on Saturday, May 4th and our Spring 2019 Show & Sale on Saturday, May 18th. For all the details, check out our Upcoming Events page and watch this space for any additional information. In the meantime, don’t miss our fantastic list of new release comics and books; there’s something for everyone!